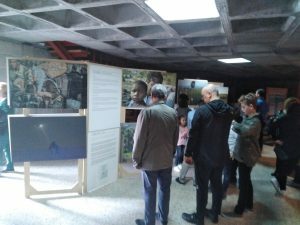 The Somos Migrantes exhibition continues to tour around Galicia. After its showing in the parish of San Pedro Mezonzo in A Coruña, it’s coming back this October to the city of Vigo, where it had been on display in the Casa das Artes. This exhibition will run until the end of the year in the parish of the Dominicans, Cristo de la Victoria, in the popular neighbourhood of Coia. There, their communities of adults and their young catechists will explore the concepts of refuge, migrants and hospitality throughout this course. The photographs are on display inside the church and are a must-see for anyone who attends this parish’s celebrations. The exhibition will be complemented by talks and projections. It’ll be available to visit until the end of November.